Congratulations to Dar Al Shifa Hospital in Hawally, Kuwait on attaining accreditation as a Center of Excellence in Orthopedic Surgery. 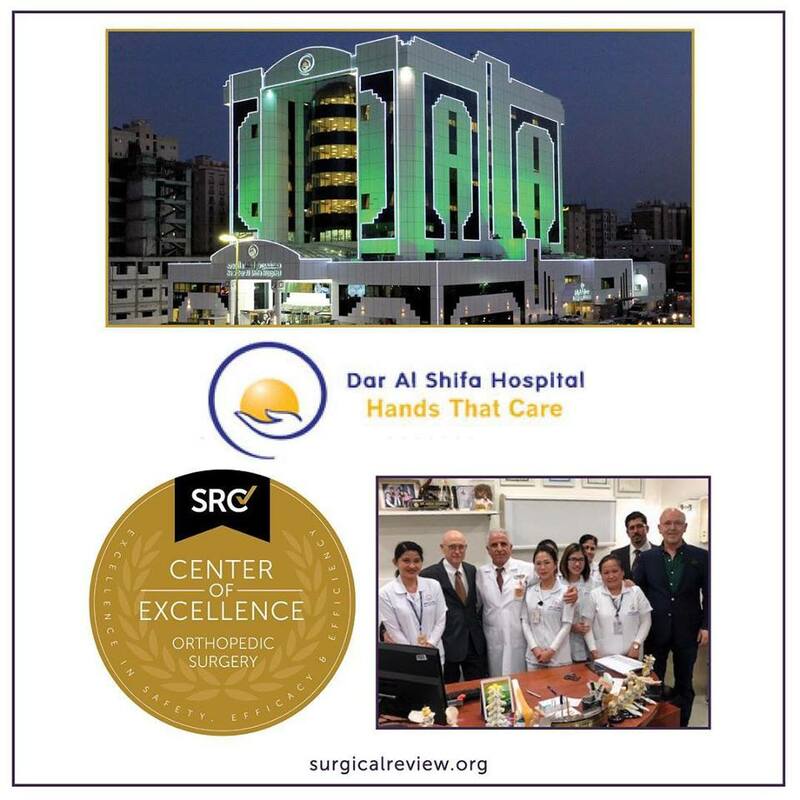 The staff at Dar Al Shifa Hospital, including Dr. Ahnaf Arnaout, have met and exceeded rigorous standards as a commitment to patient safety and providing the highest level of patient care. Site inspector, Dr. Neil Hutcher, awards COEOS to Dr. Arnaout and staff.